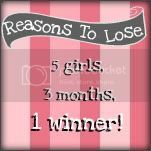 Reasons To Lose: The Contest. Reasons To Lose is a contest. And One of us is going to win.